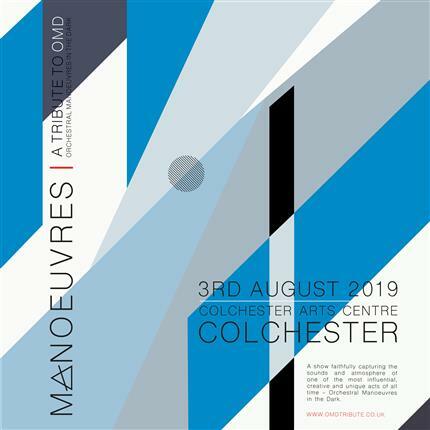 MANOEUVRES are Europe's premier tribute to OMD – Orchestral Manoeuvres in the Dark - one of the most influential and original bands to emerge from the early days of synth pop in the late 1970’s. Barry & Sarah created MANOEUVRES to bring you a Tribute Show to OMD brought about by a genuine love and respect for the music of these synth pop pioneers. By focusing on meticulous attention to detail together with a little twist or two of their own, an energetic and authentic stage performance is ensured, faithfully capturing the atmosphere and excitement of a true OMD concert. Performing all of OMD's many hit songs such as 'Enola Gay', 'Messages', 'Sailing On The Seven Seas' and 'Souvenir' to name but a few, MANOEUVRES will leave you with lasting memories of a captivating and unique show that you will want to see again and again.